Thanks to celebrity teacup pup parents and social media outlets (we're looking at you, Instagram! ), teacup dogs, otherwise known as micro-dogs, have become increasingly popular over the last decade. From various celebrities' purses, to some of the most adorable videos on the internet, it seems like teacup dogs are everywhere. There's no denying that these tiny doggies are absolutely adorable, but do teacup dogs actually stay that small? Do they make good pets? And, perhaps most importantly, are they healthy? Unfortunately, there are many myths and misconceptions surrounding teacup dogs—particularly around their health—so if you're considering adding one to the family, it's absolutely vital to do your research. Making an informed decision can be the difference between bringing a healthy dog and an unhealthy dog into the family. Read on to learn more about teacup dogs, and why they might not be the the best pet for your family. When Is a Dog Considered "Teacup" Size? Before we dive into the details, it's important to understand the characteristics that actually define a "teacup" dog. Although there's no single breed of teacup dogs—rather, a number of breeds like Pomeranians, Chihuahuas, and Maltese can be bred as micros—there is a weight range that can qualify a pooch as teacup. According to the American Kennel Club, dogs can be considered "teacup" if they weigh between two and five pounds, and measure fewer than 17 inches when fully grown. 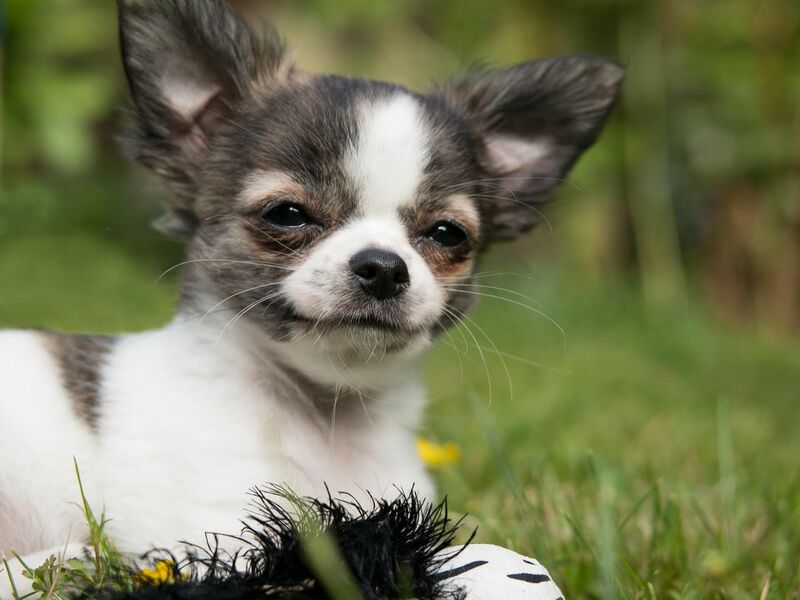 What's more, "toy" breeds include any dogs that weigh less than 15 pounds, so teacup dogs can be considered part of the "toy" classification, too. How Are "Teacup" Dogs Bred? Inbreeding runts with other runts in the hopes of producing an entire litter of smaller-than-average dogs. Inbreeding can increase the risk of inheriting a genetic disorder, like blindness or epilepsy. Stunting the growth of their puppies by malnourishing them, which can result in failure to thrive, as well as serious issues with the skeletal, digestive, and nervous systems. What's more, an unethical breeder may simply market normal-sized, smaller breeds as "teacup." It's incredibly important to do your research before bringing any dog into your home. Be sure to find an ethical, reputable breeder, or consider adopting from your local animal shelter. Not only are teacup dogs extremely expensive—ranging between $750 and $3,500—but adding an unhealthy pet to the family can have serious consequences for both your family members and the dog. Is It Even Possible to Find an Ethical Teacup Breeder? The short answer? Yes, it is possible to find an ethical breeder that has teacup dogs—the keyword being "has." Sometimes, an ethical breeder will have a litter with smaller-than-average pups that he or she can still give a health guarantee. This may be a rare occurrence, but it is the most ethical way to find a teacup. When you're looking for a teacup dog, be sure to avoid pet stores. They're often supplied by puppy mills, which are mass puppy producing machines that have little regard for the health or happiness of their dogs. If you're having a hard time locating an ethical teacup dog, you might want to consider toy dog breeds, which are smaller dogs, but a healthier size and weight for their standard. What Kind of Health Issues Do Teacup Dogs Experience? Hypoglycemia - This extreme drop in blood sugar can result in symptoms like shivering, weakness, and seizures. Unhealthy weight - Smaller dogs have faster metabolisms, which in turn requires more frequent feedings. Frequent feedings paired with little or no exercise can result in unhealthy weight. Hemorrhagic gastroenteritis (HGE) - According to some studies, smaller dogs are more likely to develop hemorrhagic gastroenteritis. The exact cause of HGE is unknown, but it's often characterized by bloody diarrhea or vomit, lethargy, and decreased appetite. Bone fragility - Teacup dogs' bones are smaller and more frail than the bones of a larger dog, making them susceptible to breaks or fractures. Teacup dogs are also more prone to being stepped on, sat on, or dropped simply because they're so tiny. If you have young children, a teacup dog might not be the right choice for you. It's important to note that not every teacup dog will experience these health issues, but potential teacup pup parents should be well aware of the risks. Like we said—when it comes to teacup dogs, research (and maybe even a little bit of patience) is key. It is possible to have a happy, healthy teacup dog with the right amount of research!